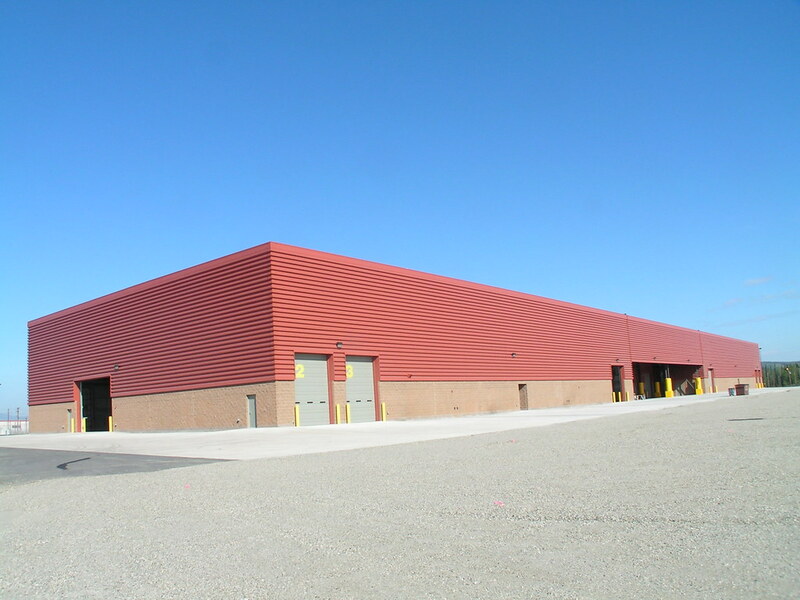 Fort Wainwright’s new Vehicle Maintenance Facility (VMF) is a T-shaped building with a total footprint of over 105,000 SF, consisting of a warehouse with loading dock, a core administrative area, and maintenance repair bays. The larger maintenance areas, on either side of the T, are symmetrical and consist of overhead bridge cranes, two below grade inspection pits, trench drains, and compressed air for each bay. The bridge cranes span 130 feet, have a lifting capacity of 15 tons, and travel the entire length of each structure. The smaller maintenance area has one 72-foot span bridge crane with a lifting capacity of 7.5 tons. The slab holds trench drains in front of each overhead door and along the main vehicle corridor. 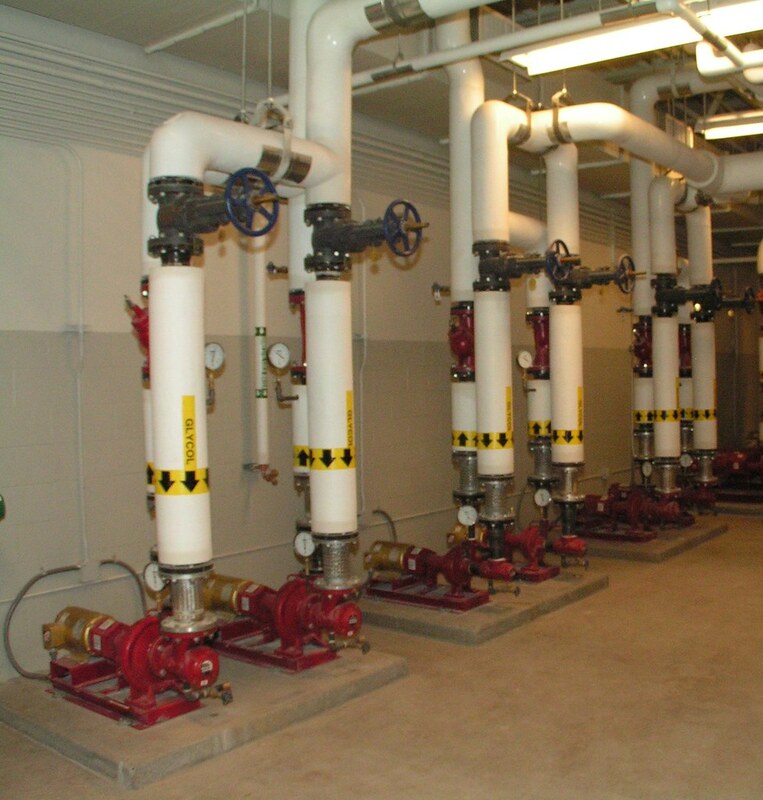 Mechanical systems are connected to the existing base utilidor steam, condensate, water, and waste distribution systems. HVAC systems utilize Direct Digital Controls for monitoring system status and set points tied directly to the main base host computer. Two fans exhaust air from the maintenance bays and two constant volume air handling units provide 100% outside air intake. A pair of rotary screw-type air compressors with 332 SCFM capacities each, integral air-cooled after-coolers and a single refrigerated air dryer provide dry, clean compressed air throughout the maintenance areas. A 660-gallon receiver tank is provided to store compressed air and limit compressor cycling. 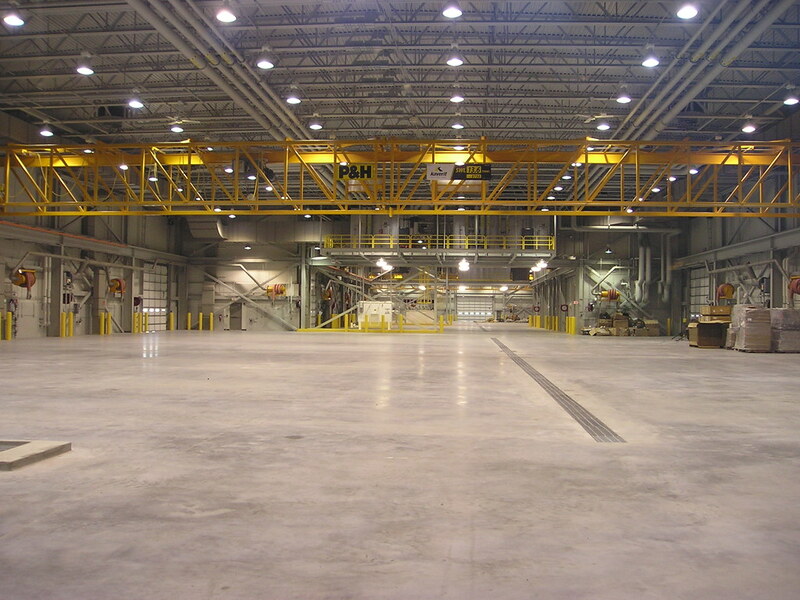 Ceiling fans in the maintenance bays provide air circulation and destratify the upper areas. Air monitors and alarms are installed in order to ensure an OSHA safe environment. Electrical building systems consist of lighting, power, telecommunications, fire detection/alarm, grounding, and intercom/paging. Lighting in the maintenance bays is metalhalide. Lighting fixtures in the maintenance pits are rated for Class 1, Division 1, Group D hazardous location use. An internal voice and data system provides communications throughout the facility. 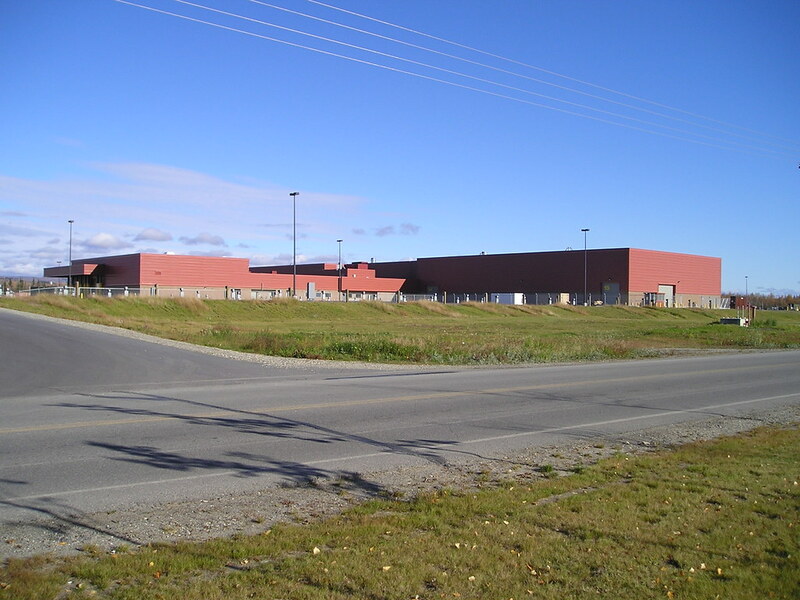 Extensive site development was needed to accommodate the new building. Existing utilities were extended through 1,000 linear feet of new utilidor. Our site and building designs also incorporate security, anti-terrorism, and force protection features.